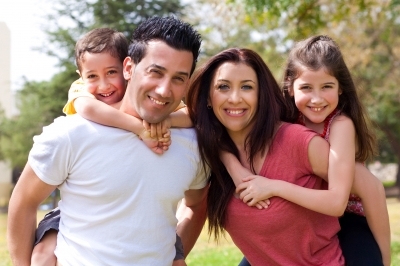 What Should a Family Fitness Plan Look Like? There’s no denying the fact that exercising as a family is the key to raising children that understand the importance of physical activity. However, many families still struggle with how to pull it off. So, many families seek the help of professionals. When they come to you, of course you can design a fitness plan that will work for an individual client. But, where do you start when you’re helping a family design a fitness plan that will work for all of them? Be sure that you include all of the family members. Discuss activities that everyone enjoys doing and be sure to let the children help decide on some of the exercises and activities that are included on the exercise plan. Giving the kids ownership in the program will help keep their interest and build their confidence in what they’re doing. Be sure to make it fun too. Although exercising is meant to increase your heart rate, it doesn’t have to be work all the time. Including fun, and even competitive games, will keep it interesting too. Scheduling is also an important part of the equation when you’re helping an entire family plan their exercise schedule. Between Dad’s board meeting, Mom’s conference call and the kid’s basketball games and choir concerts, scheduling for a family is a nightmare. Work with your family to identify times that work for everyone. Then, help them create a calendar so that everyone knows exactly when to expect their family workout. Planning an exercise plan for a family doesn’t differ that much for planning an individual schedule. However, there are certain elements that need to be included to make sure everyone is enjoying themselves and learning that exercise is an important & FUN part of everyday life… not just another chore. How do you help motivate children to exercise? We’d love to hear your ideas. Please share them here in the comments or on our Facebook. We love hearing from you! If you’re looking for tools that make exercising at home easier, be sure to check out the NCES Exercise section before you go!